Al-Jazeera journalist Peter Greste, recently freed after 400 days in an Egyptian prison, was contemplating a hunger strike on the day of his release, he told Cardiff University students today. The trial and appeal process was full of so many false starts Greste said he learned not to get his hopes up. “One of the most damaging things you can do is build up your expectations only to have that dashed. We made the conscious decision not to expect anything and to prepare for the long haul,” he said. “I woke up that morning thinking we have to up our game…to try and increase the pressure on the authorities,” said Greste of the idea of a hunger strike, which he considered a last ditch effort when all other options had run out. Greste was halfway through his morning exercises when one of the guards told him to report to the office of a senior prion official. There he was told: “pack your bags, you’re moving”. Within the hour Greste was freed and in the care of Australian embassy staff. After just two weeks covering the turmoil of Egypt’s 2013 political landscape, Peter Greste along with Mohamed Fahmy and Baher Mohamed, all Al-Jazeera colleagues, were arrested, tried and charged with, among other claims, aiding the Muslim Brotherhood. Sentenced to seven years imprisonment, Greste was released 400 days later on 1 February 2015. Throughout their imprisonment journalists across the world campaigned for the release of Greste and his colleagues. Al-Jazeera developed a worldwide following by linking the charges against the journalists to the international fight for freedom of the press. Social media users across the globe inundated Twitter with the hashtag #FreeAJStaff and the tagline “Journalism is not a crime”. BBC and Al-Jazeera anchors, as well as JOMEC students, even held up placards with the hashtag during their broadcasts on multiple occasions. Greste, Fahmy and Mohamed were aware of the campaign from clippings of English-language foreign papers smuggled into the prison. “The campaign was very capably run by people who knew and understood that if the public was going to invest in our story then they needed to care about us,” said Greste. By linking their plight with those of hundreds of thousands of similarly persecuted journalists across the globe, Greste said it gave them a higher purpose. 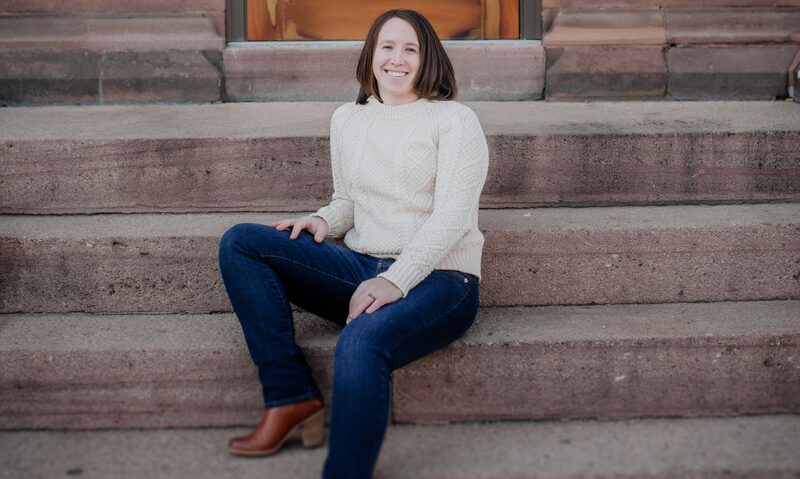 “At times our prison cell in the courtroom felt pretty crowded because we knew that literally thousands and thousands of our professional colleagues were there behind us,” he said. Greste chose not to comment on the current situation of freedom of the press in Egypt because he still remains a named defendant in an open case. However, he reminisced about a book he read while studying to be a journalist. One Crowded Hour by Neil Davis inspired Greste to be the type of journalist who, as he described it, “put the story first, the people first” and only thought of himself second. Greste explained Davis was killed in 1985 while covering a coup in Bangkok. He died virtually penniless having donated all of his money to funding two orphanages. Speaking to a room full of budding journalism students, Greste also stressed the importance of safety in the field. “There’s a lot of people in our business who seem to be addicted to the adrenaline, who seem to want to come as close as they possibly can to getting killed. Journalism is as dangerous as you want it to be,” he said. Preparing for his first war as a foreign correspondent, the breakup of Yugoslavia, Greste said he was no older than most of the postgraduate students in the lecture theatre, but he still spent £1,000 on a flack jacket. Before embarking on this assignment Greste weighed the pros and cons of covering such a volatile nation. “You choose to work within the restrictions that you’ve got or you do not go at all,” he said. He recalled that coverage of Egypt before his arrest required a degree of self-censorship by him and Al-Jazeera as a whole. But he said he judged the events happening in the country as important enough to merit foreign coverage. Greste began an MA in International Relations from inside his prison cell and said he wants to finish his studies while continuing to work as journalist, but will focus on long-term stories and advocacy projects in the near future. 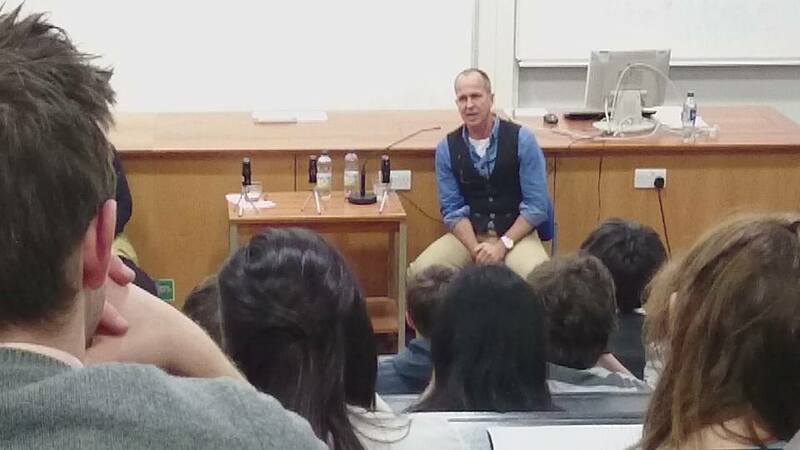 Our reporter Emily Gowdey-Backus covered Peter Greste’s lecture at Cardiff University on Friday February 20.